Win fabulous prizes. You an register to win everything from T-shirts to Volkswagen Beetles... even extraordinary MILLION-DOLLAR cash prizes on the Internet. 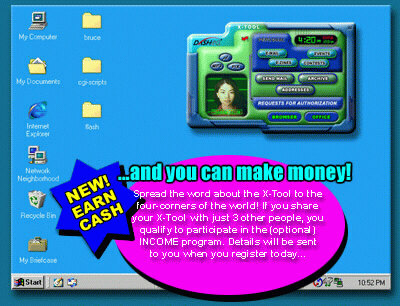 The X-TOOL lets you search out and find contests and sweepstakes that you can register to win... without paying a dime or buying ANYTHING! Plus, users can access state and national lottery numbers.